On June 13th 2014, Aaron Swanson asked me to marry him - and I said YES. Now I know getting married is not a very conventional thing for a Tantrika to do. And that there is a perception in the Western Tantra world that Tantra is not for committed couples. My first Tantra teacher used to say: Tantra is to couples as flower arranging is to rottweilers. I get the metaphor, for sure. In the three years that I have been with this man, we have fought like cat and dog, plummeted the depths of our shadow materials, and moved through more and more exquisite levels of bliss and passion. And this is exactly the material that Tantra is all about: opening to all levels of experience: entering into the depths of the shadow, soaring to the heights in the realms of light - and not avoiding anything. We have been facing in the light of truth both our stubborn independence and our co-dependence. I had been resisting relationship in the years before meeting Aaron, because of my passion for realizing truth, and my assumption that it was not possible to really open to truth in a committed one-on-one relationship. This is understandable, seeing as the world's idea of monogamy is so burdened with the false assumptions about love, truth and fidelity held by the collective subconscious. Aaron opened me to deep, intimate and sexually exclusive partnership through his love of truth and his love of the feminine through me. He also introduced me to Bernie Prior, whose teachings revolutionized my understanding of what is possible in relationship. Through this union, I get to embody a central tenet of the Tantric teachings, which is about the union of the masculine and the feminine principles in us and in our union with another. I'd like to describe here what it is that I am saying YES to with this engagement. 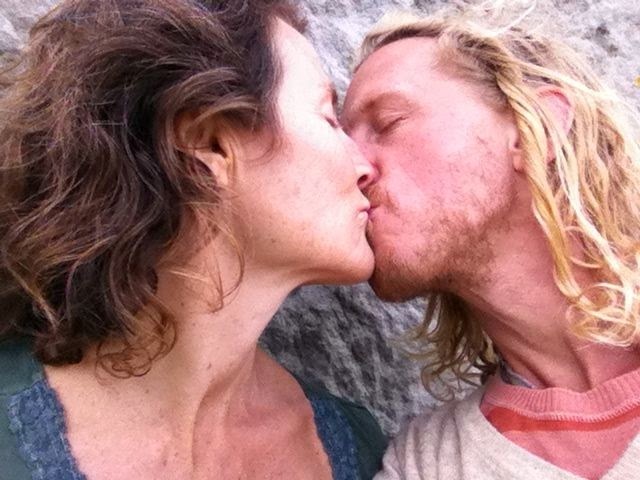 I know that this union will bring profound gifts of awakening to both Aaron and me. And I know that our union can contribute to a new paradigm of relationship on the planet. May this union contribute to a clear space of YES for couples in Western Tantra. And to all you beloveds, regardless of your relationship status or orientation, I invite you to drink from the nectar of this love - and to celebrate with us! Wow-I'll be watching your progress as I cheer you on. All the best and lots of growth, fun, love and laughter to you both. Mazal tov/ and yet, as someone who lives this way for the last 12 years i ask: will you be open for sexual experiences with other people? will you be blessing those of your partner with other people? will you alow your heart to LOVE deeply an other person? does your marriege include the possibility of a third person (or more)? congratulations beloved shakti and aaron. i do indeed share in the nectar, thank you both. i hold you in an embrace of deepest love and respect laced with curiosity and wonder as you take this next step into the merging and full expression of the masculine and feminine. your sharing bcomes more and more fluent and it touches me every tim that i read you. Congratulations with your intentions towards eachother. i am so very happy for you, you who has shared so much and given so freely, now to find a different and deeper kind of love.